WoW! So fast. Thank you, they've arrived. We know where to go in the future. Thank you for being so efficient, in getting the battery sent today, which for us means our on-call doctors are able to utilise the headset. Thanks Terry. Already received it! Brilliant service. My manager (National Customer Service manager) was very impressed with the service. Headset received and working wonderful. I wanted to thank you and your firm for the speedyness with which my order was filled. 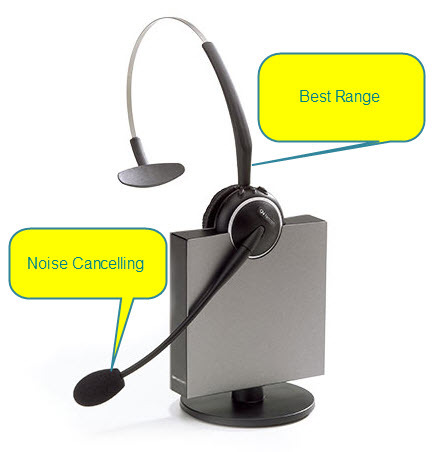 The order was place Friday afternoon and I received the item (connecter cord between Avaya phone and Stenheisser headset) by 10.00 Monday morning. Moreover, I really appreciated the phone call shortly after I placed the order over the internet to check I was ordering the right cord for my needs (and I had ordered the wrong one). So once again, thanks for a thorough, professional and most speedy service. I just wanted to say thanks for my prompt order. Great job and very much appreciated. Just wanted to say Thanks for all your help with getting the head set going again, it is now working perfectly! We really appreciate all your help. Thank you for your prompt service, we received the JabraPro920 just this morning, very efficient!! We will strongly recommend you and AAA to everyone we know. Wishing you a great Australia Day Long Weekend. I'm sure you guys get this all the time however I just wanted to say I'm extremely impressed with your service and we will defiantly purchase from you guys again! Yes I absolutely found your service both easy and reliable to use. I received my ordered items very quickly, very much appreciated. I certainly will be doing more ordering from your company, without a doubt. I would like to thank you for your prompt and efficient service. I ordered our new headset battery yesterday morning and have already received it. We have spent 6 weeks with our local Telstra Business Centre, trying to get them to find us a battery. Earlier this week, they told us the battery for our headset was 'no longer available' and we would have to purchase a whole new headset. I thought this was a pretty extreme way to head, so I looked up the part number on Google and found your website. In 24 hours we have the battery and our headset is in operation. Thanks again for your great service. Much appreciated. I just wanted to say thank you for your fabulous service. I ordered two replacement batteries for our office yesterday afternoon around 4pm Sydney time and they were on my desk at 9am this morning. Your customer service is fantastic and you have a great website that is so easy to use, plus you were the most cost competitive site I found. Thanks you, we will be definitely be using you again. I received the replacement headband for WH110 headset yesterday. It works perfectly. Thanks for arranging delivery so quickly. Your customer service is exceptional. 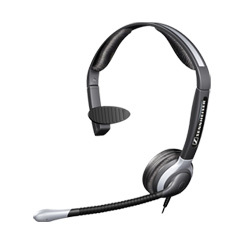 I had difficulty sourcing the headband because it seems the Plantronics WH110 headset is no longer produced. Not only did you have the part but it was delivered the day after I spoke with you.. It just goes to show that purchasing from an interstate supplier can be more efficient than dealing with a supplier in your home state. Just got the headset and it's fantastic! What a difference! I am amazed at the speed of supply from the west .... it was quicker to get stuff from the west or even Tasmania than from Melbourne...100ks away. ... the headset is for my daughter who has severe cerebral palsy. Previous to this we've always had to hold the handset for her when she talked on the phone. When the headset arrived and worked we tried it out on her and the smile on her face was something to behold. Now she wants to talk on the phone all the time whereas before she couldn't really have cared less about it as it was too much trouble. Centurion Transport had 18 units installed in conjunction with our new phone system in our new premises at Hazelmere. Jay Brewis was a valuable resource, guiding us through the process involved and recommending the best solution to our needs. The GN9120 have been fantastic, providing us with clarity and mobility we never had before. Training provided was simple and straightforward and the installation was very efficient.